The engine stutters. But it’s just a one-off thing, and then we’re accelerating again. I breathe a sigh of relief. Corin shifts his weight a little, keeps his arm around me. I lean into him, but I’m too tense, can’t relax. I drum my fingers against my thigh. Then it happens again: the engine stutters, five or ten minutes later. It lasts for longer this time, and I feel the momentum of the lorry slipping away. The lorry hurtles to a stop, jolts to the left. I scream, whack my head against something hard, see dark spots amid whiteness. “Sev!” Corin’s by my side, falling, but grabbing me. His fingers close around my arm, yank me up somehow. I whirl around, choking, arms spread out, grabbing the wall. Boxes slide across the floor, throw up dust. Someone shrieks. The sounds of glass shattering fills my ears. There’s a pause, a long pause. And then a scream. A male scream. Chills run down my spine. I look up, see purple swirls through the gaps in the wagon roof. “Run for it! Only chance…” Albran’s panting. Then we hear scraping noises. And another scream. “Albran? Yanugh?” Manning grips the radio so tightly his knuckles go white. He’s breathing hard, something drips from his braids. Dark red. Blood? The radio cuts off, hissing. Manning springs up, heads toward the door. No one says anything as he slides the bolt back. My heart hammers against my ribs. I feel sick. Manning throws the door the rest of the way open. But then I see the other colors. Blues, navies, reds. And the spirit flies into the lorry. I jerk up, arms and legs barely working. I crash into the side, with Corin. Then he leans forward, grabs Esther, wrenches her to us. The spirit hovers in the middle of the wagon. It is grotesque. Too many eyes. Semi-translucent. Lots of tendrils. We’re all pressed against the walls. Mart whimpers. And the spirit looks at us all, each in turn. My heart’s too fast and my hands are clammy. I’m shaking, trying not to look at it, trying not to make contact with its many eyes, trying not to accidentally challenge it. I turn my head, see Manning still in the doorway. The light is strange; he’s silhouetted, yet he shouldn’t be. Corin’s hand suddenly closes around mine. He’s shaking. The spirit dives forward, screaming. Too much stuff happens at once. I can’t make it out. I hear the screams, the crying. I see the man fall. I see the spirit leap onto his body, but I can’t make its form out now. It’s all just a mass of movement. I see the man’s foot kick out. And then—then his foot’s gone. Just gone. My chest tightens. My forehead burns. Corin’s hand in mine jerks, and then he’s turning, turning toward Manning. I try to follow, but my legs won’t work properly. And I can’t move my head, can’t look away from the spirit eating the man. This isn’t just feeding. This isn’t what happened when some spirits fed from us before to get enough energy to help us in the battle against the Enhanced—no. 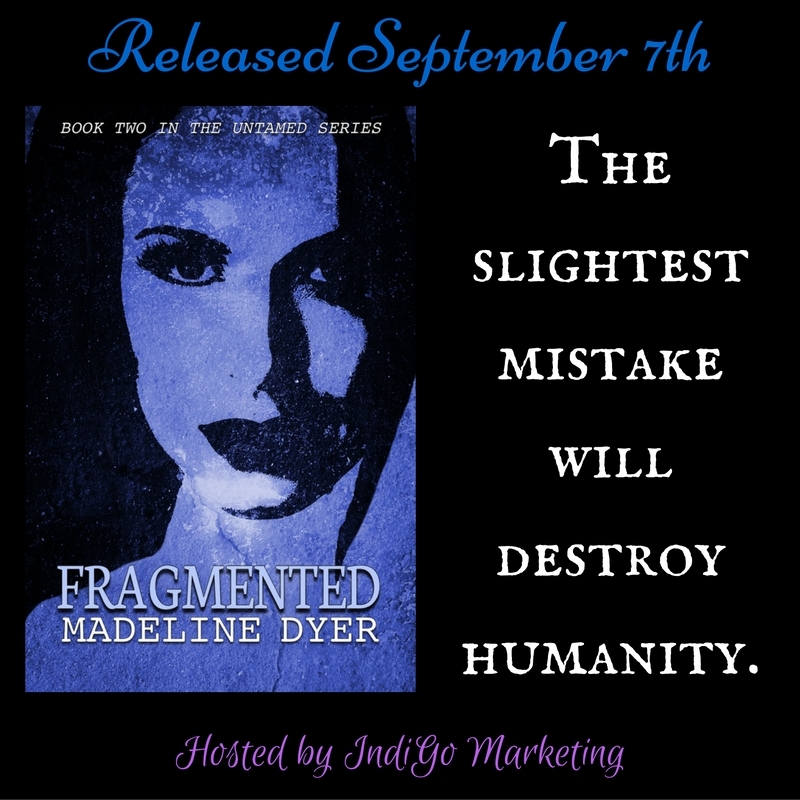 Madeline Dyer lives in the southwest of England, and has a strong love for anything dystopian, ghostly, or paranormal. She can frequently be found exploring wild places, and at least one notebook is known to follow her wherever she goes. 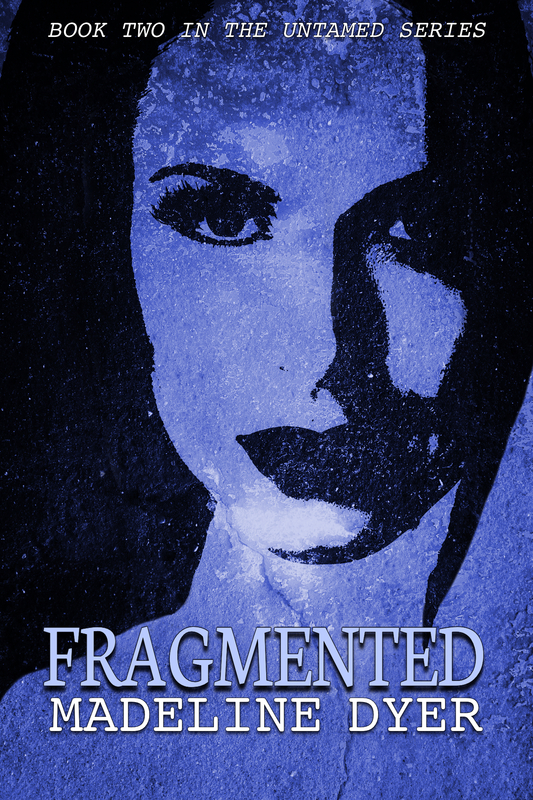 Fragmented (Prizm Books, Sept. 2016) is her second novel.